Product information "25mm Ultraframe Polycarbonate End Closure (2m)"
Suitable for both 25mm polycarbonate or 24mm glass! 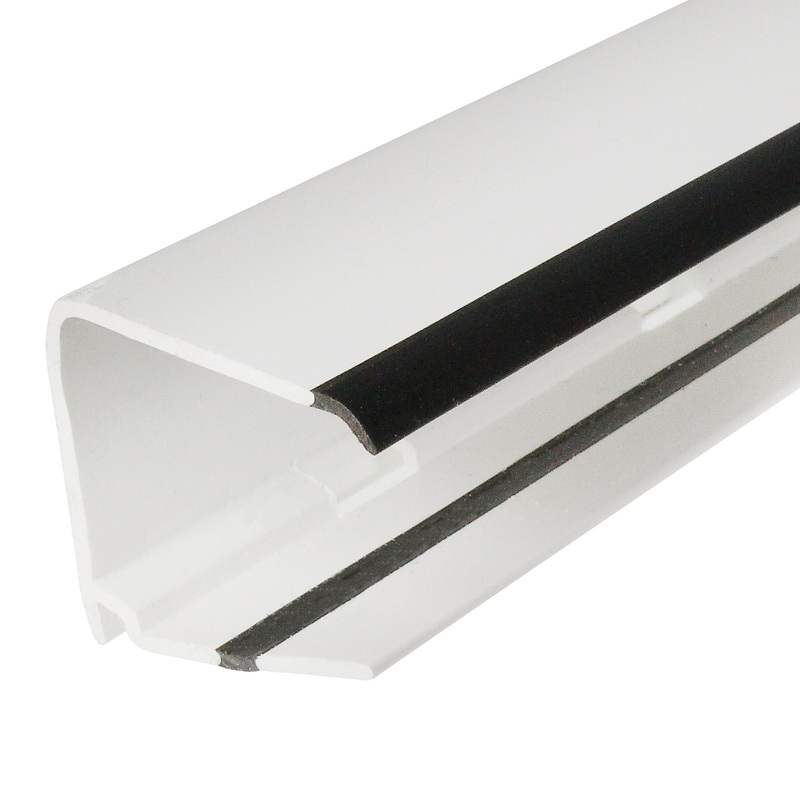 High quality PVC-u end closure for 25mm polycarbonate and glass. 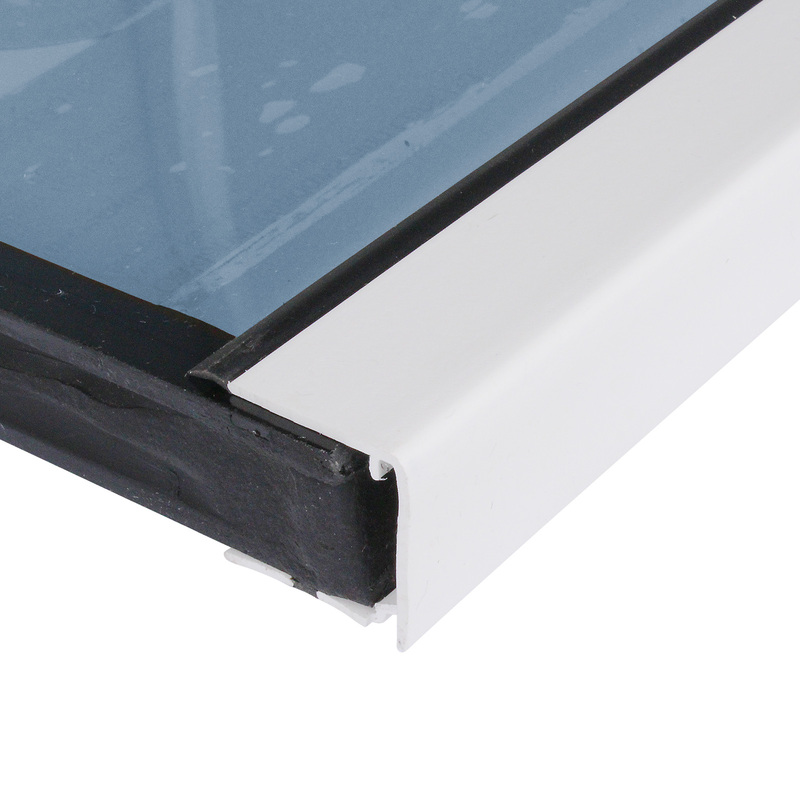 Manufactured by Ultraframe, one of the leading conservatory suppliers, these end closures (also known as "U" Drips, Poly End Covers and End Profile Trims) feature a durable glazing gasket, drainage holes and a 4mm drip to ventilate and discourage water penetration. 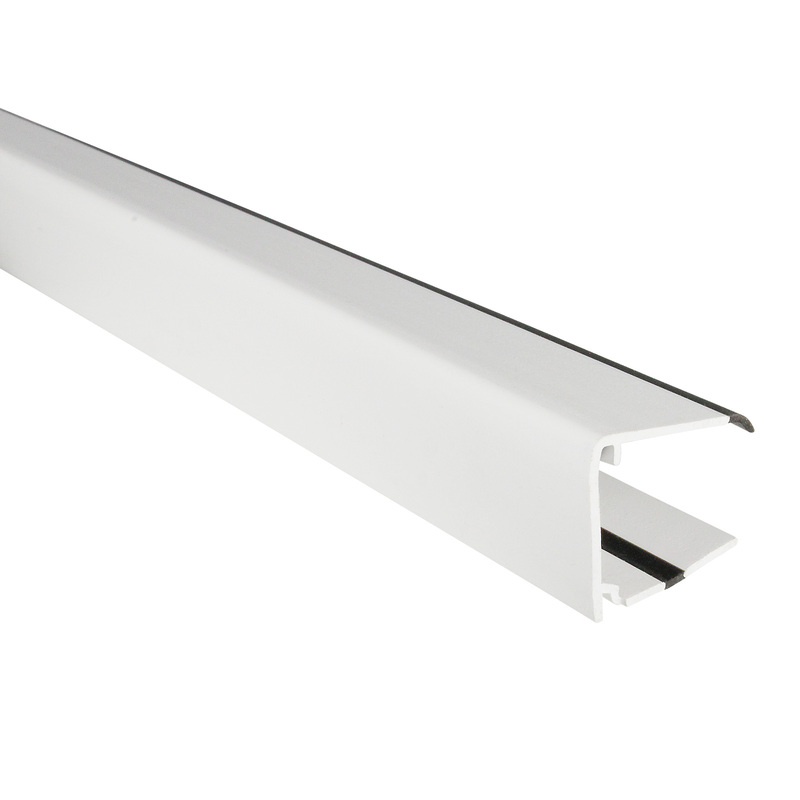 End closures are typically fitted to the gutter-end of pitched roofs, such as those of a conservatory, or to both ends of a free-standing roof. 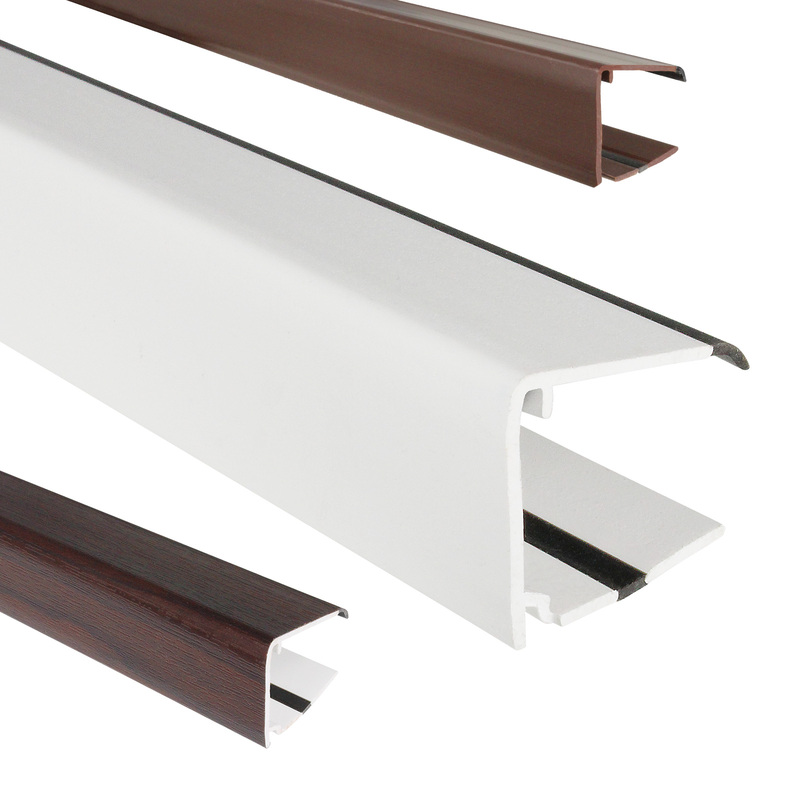 They provide decorative, protection to the ends of glass units and the vulnerable ends of polycarbonate sheeting. 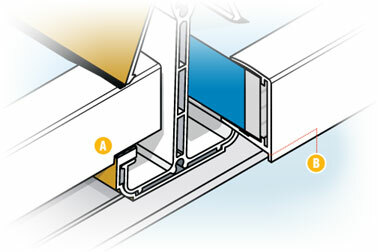 What makes the Ultraframe End Closure so special? 4mm 'Drip' - hangs from the front face and extends the full length of the closure. Provides a means by which water gathers and drips from the front face, rather than running back towards the roof. Rubber Gasket - runs along top edge of end closure to provide a tight seal against the roofing material. Drainage/Ventilation Holes - 8mm slots appear every 50mm behind the drip to provide ventilation and drainage. 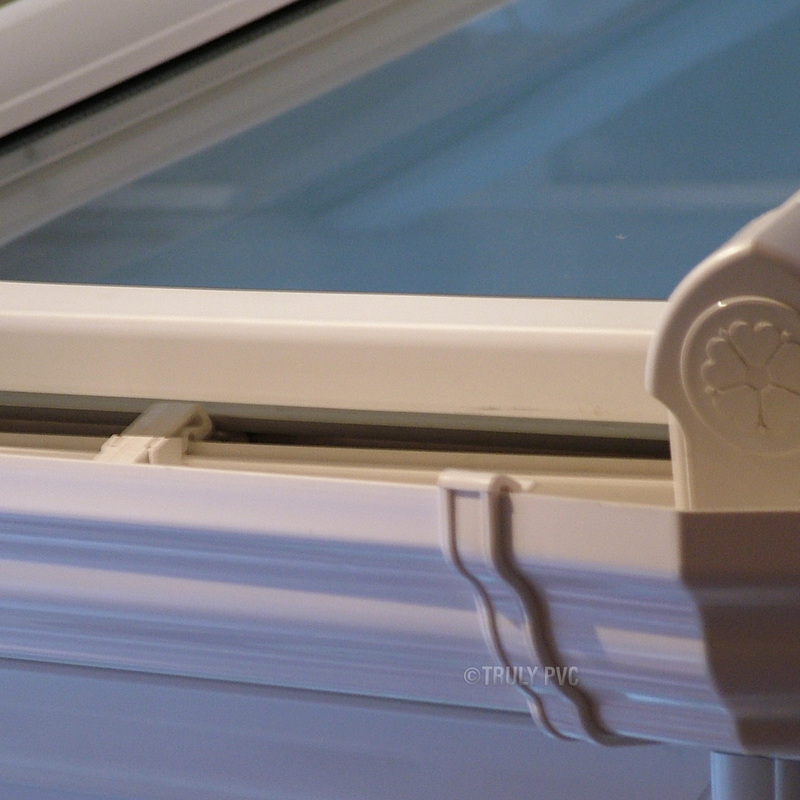 Whether fitting to glass or polycarbonate, it's important that the material is cleaned and dried thoroughly to ensure that the End Closure works effectively. This is particularly important on the top face which will be sealed with silicone. Ensure that Anti-Dust Breather Tap is used to seal the ends that the End Closure is being applied to. If existing breather tape is in a poor state, then we recommend that it is removed the flutes are cleaned and fresh tape applied. Anti-Dust Breather tape allows the movement of air inside the sheet and the evaporation of any condensation, while preventing insects and dust from getting inside. The maximum breathability offered aids the dispersal of moisture that could otherwise lead to unsightly algae and mould. Anti-Dust Breather tape is not weatherproof and should therefore be protected by an End Closure. Cut the End Closure to the desired length, typically the width of the roofing material, and remove any swarf created during cutting the End Closure. Water should not be allowed to seep into the End Closure as this could cause the breather tape to become saturated and fail, which would result in moisture entering the polycarbonate. It may be recommend to apply a small bead of silicone to the top edge along the entire length of the End Closure. This will seal the top face of the sheet and prevent water from entering the End Closure and making contact with the breather tape. It is important that polycarbonate compatible silicone is used as standard silicone may release an acid which can cloud the polycarbonate. Related links to "25mm Ultraframe Polycarbonate End Closure (2m)"
Customer review for "25mm Ultraframe Polycarbonate End Closure (2m)"